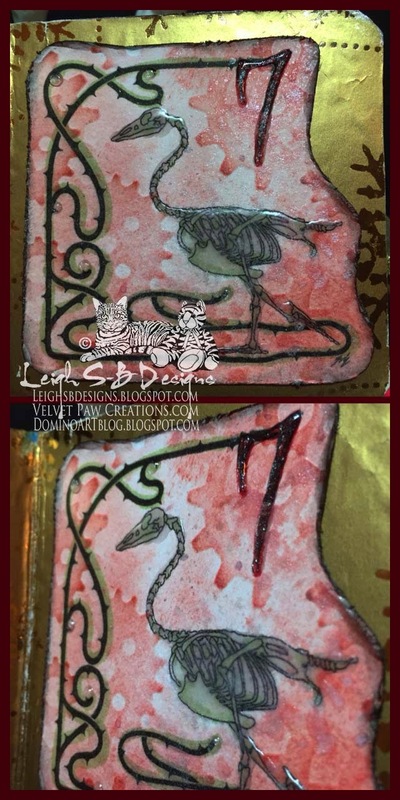 Velvet Paw Creations: Day 7 of 12 Days of Creepmas! I can quite imagine swimming might be a tad difficult when you're a skellie! See you again on Monday Dec 15th for Day 8 of 12 Days of Creepmas! This book is coming along beautifully. I continue to sing along. Another beautiful background and spectacular skellie swan. I am event planner at my aunt and mom's 50-56th wedding anniversary party tonight. So when I saw your swan all I could think about was the lovely lake where people wed with dozens of skelly swans swimming! I laughed til I cried! Love these pages, Leigh! The background is so fab! And love the shiny parts....!! 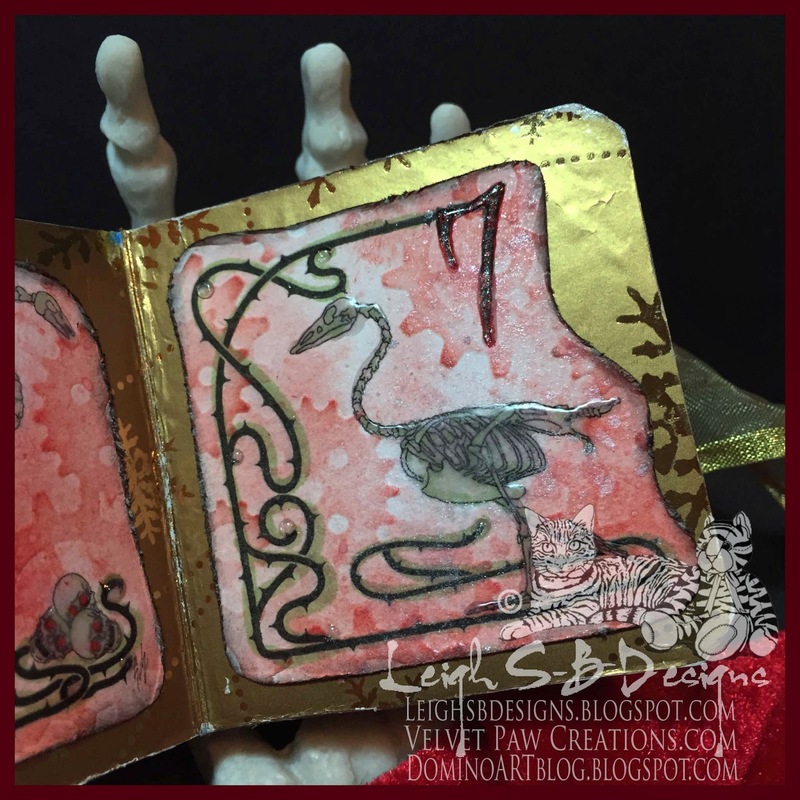 Another super page in your altered book. I love the shine from the glossy accents! Yet another great page in your little book! I just love the way you are doing these pages! This little book is so brilliant! I love it! Another great page!